Melissa's Campana Corallo Jelly flats retailed for $98 at Saks but are no longer available. If you like the look but were hoping to find something similar on a budget, check out these jelly flats from Steve Madden. 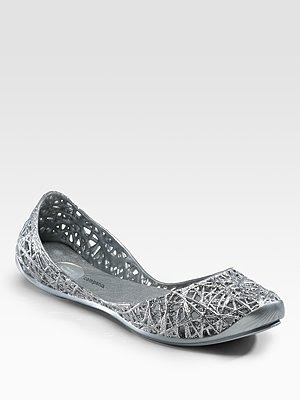 They retail for $24.95 at DSW and you can click on the photo below to purchase. I bought some of these from JCP, about 4 years ago. Love them. Wore them to death.